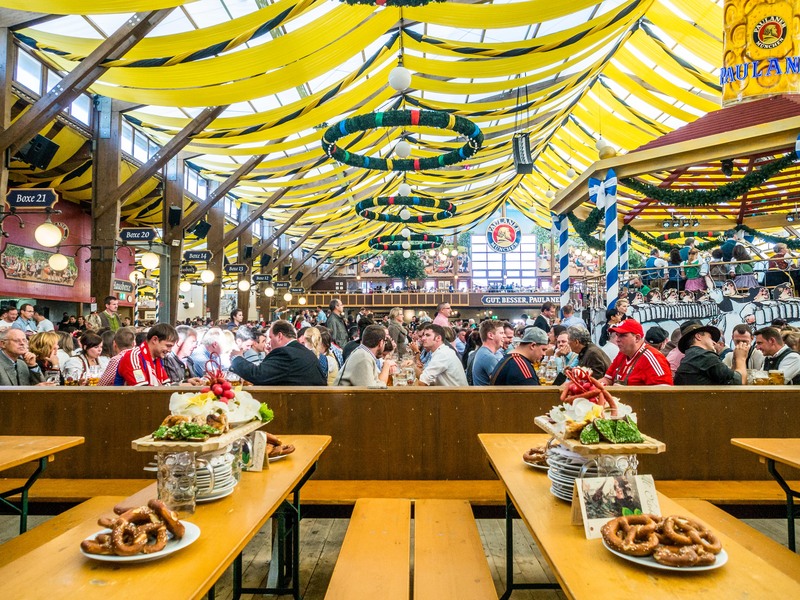 Beer, lederhosen, dirndls, beer, and giant pretzels and beer. 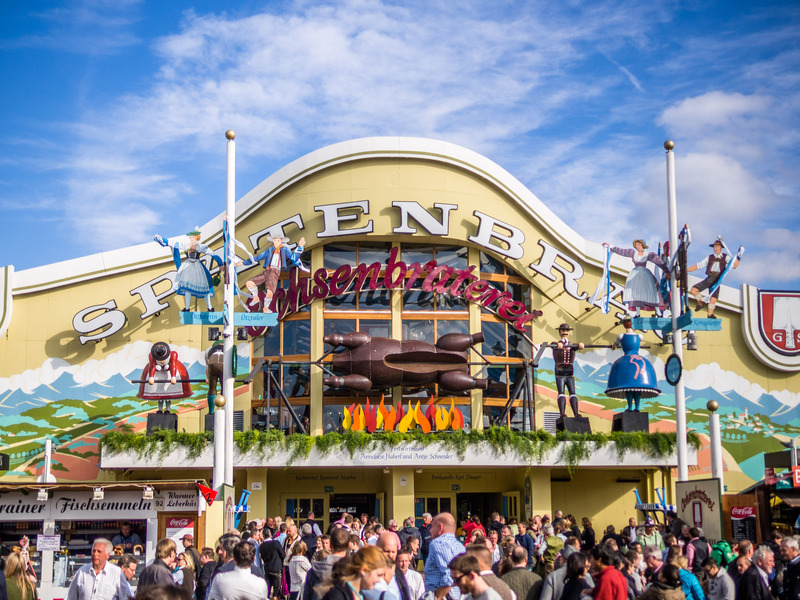 Oktoberfest is here again! 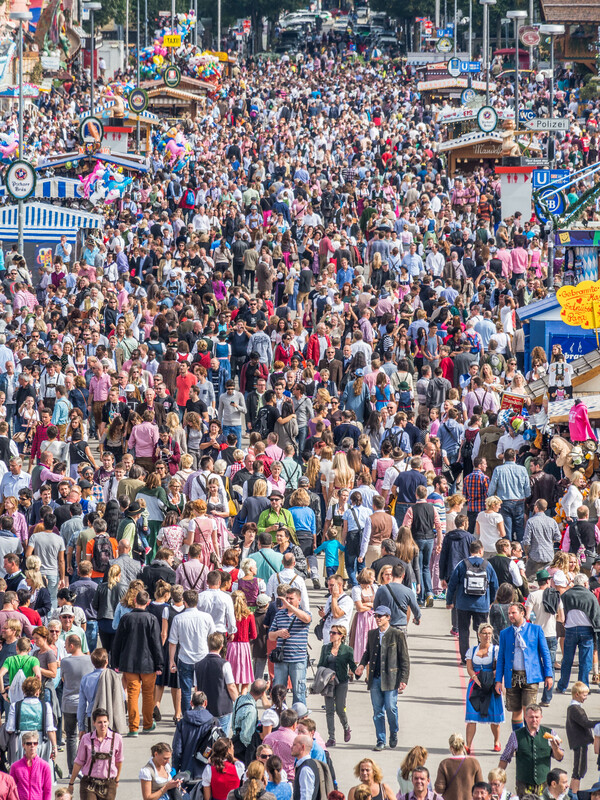 I’ve been living in Munich teaching English for nearly eight years and every year I know to expect the question from my students: So are you going to the Wiesn this year? I usually tell them that I might go to take some photos (the ones in this post!) but since I don’t drink, it’s not as much fun for me as for others. This then invites the question about why I don’t drink and pretty soon I’ve outed myself as a Mormon. Which is great! I get to answer questions about my faith, dispel myths, educate, and maybe do a little missionary work. 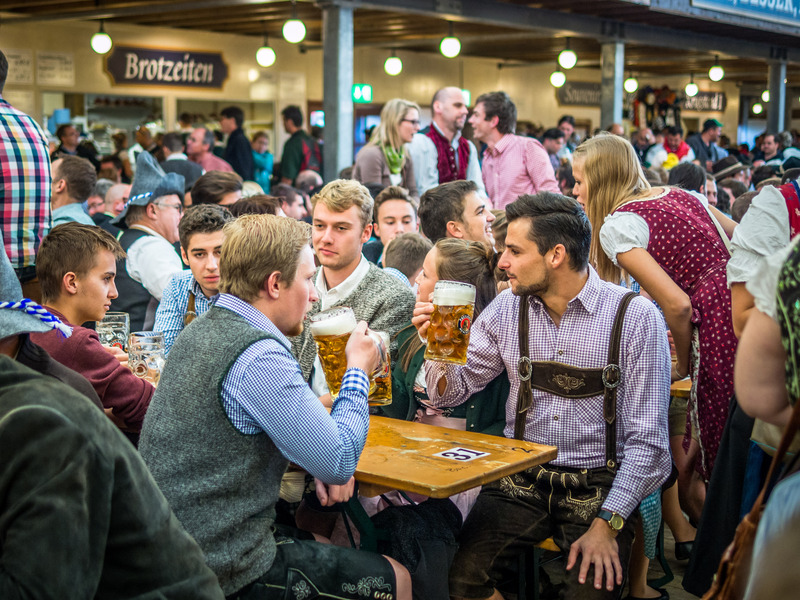 But answering Mormon questions isn’t always easy and some concepts in Mormonism are more nuanced than others, and the principle that keeps me from drinking beer at Oktoberfest is one of them. And again, hot drinks are not for the body or belly. Friend: What, no hot drinks at all? Not even hot chocolate? Me: Well, that has been clarified as meaning specifically coffee and tea. Hot chocolate and even herbal teas are just fine. Friend: Ok, so it’s the drinks with caffeine that are taboo. I see. Me: Well, no… Coke and Pepsi are not prohibited. Friend: So it has to be hot then? So like an ice tea or iced coffee would be ok? Me: No, it really has nothing to do with the temperature of the drink nor the levels of caffeine. It’s just coffee and black (and green?) tea are no nos. Friend: But a can of Coke is much worse for you than a cup of earl grey (hot). Me: Maybe, but one is specifically forbidden by the Lord and the other isn’t. 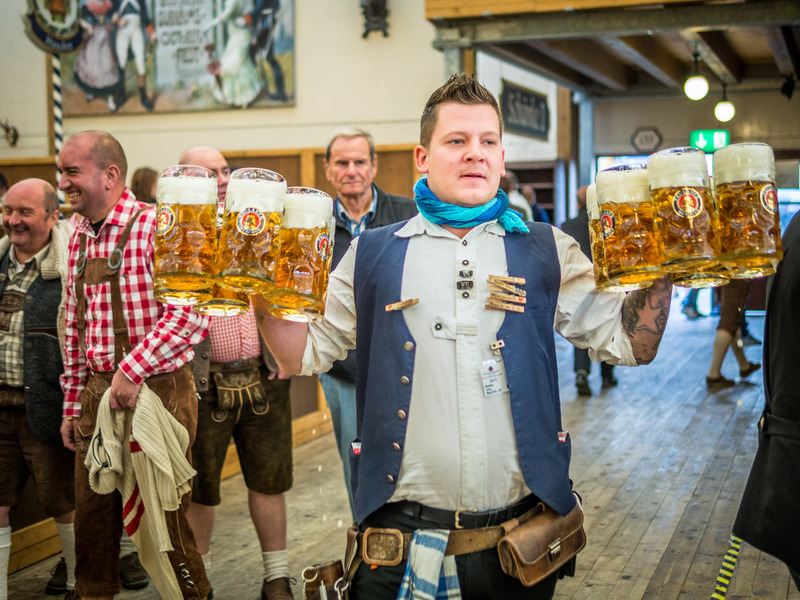 Useful blessings for an Oktoberfest server. Healthiness is clearly the core of the commandment. These specific proscriptions against tobacco, alcohol, coffee, and tea are natural starting points from which we can use our own intelligence and agency to decide what is good or bad for our bodies and more fully live the law. Friend: Wait, sorry, I’m still not satisfied. I mean, no tobacco and alcohol I can understand, even coffee to some extent. But tea? There are many health benefits of tea even black tea. And you won’t even take one sip even though you’ll happily down a mug of Diet Dr. Pepper. Me: No, not diet. That’s gross. But my friend has a point. Why does tea make the list? Tannins? Here’s where I believe the Word of Wisdom is not simply about health. It is about obedience, of course, but it is also about setting ourselves apart from the world. Wine, beer, coffee, tea – is there a major culture on earth where one of these four drinks does not play a major role? 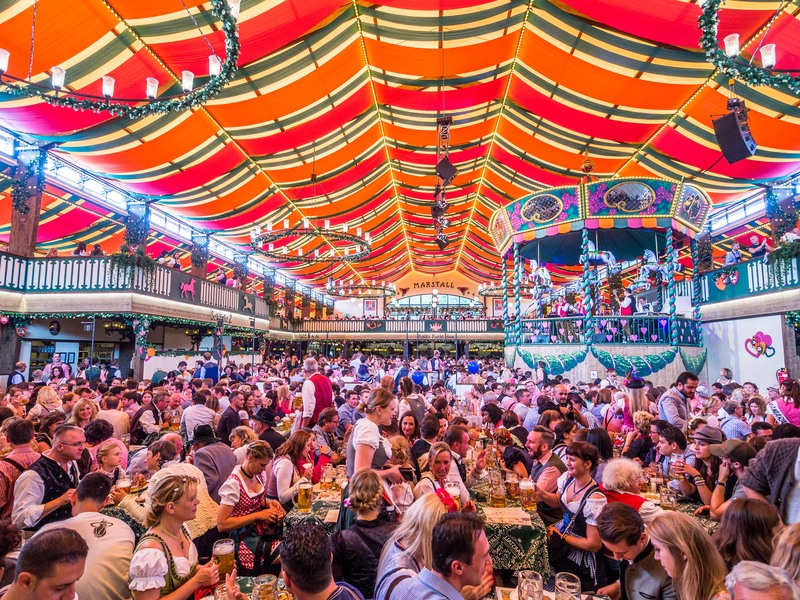 Whether its beer in northern Europe, wine in France and southern Europe, tea throughout the Middle East and Asia, and coffee the world over, these drinks are essential elements in the social rituals and daily habits of pretty much everyone everywhere. The point is, these beverages and their communal consumption are important in making an individual part of the in-group in a society. Imbibing is integration. There’s nothing wrong with that, in fact it can be rather beautiful if you think about it, but it’s also not entirely essential. This is where the wisdom comes in. I believe that by strictly avoiding these drinks, Mormons establish themselves as being peculiar in a way that is distinct and sometimes difficult on a personal level when faced with the peer pressure, but it also doesn’t completely alienate them from society either. Those girls will probably still be friends with me even if I don’t drink, right? That societal pressure to become fully integrated in the in-group is for some Mormons a very difficult trial of their faith. Yet if they are faithful to this commandment, the consequences are rarely more severe than a loss of status or the failure to fully share in a group experience. In other words, it’s a commandment that directly affects our pride. It’s brilliant. You know you want to be a part of this in-group. Since the Beginning, God has given commandments that have set His people apart from the world without physically isolating them from it. The ancient Israelites constantly chaffed at the peculiarities of the Mosaic law with its jealous monotheism, its odd prohibitions, and its rituals. The early Christians were one of the few religions to be systematically persecuted by the generally tolerant Romans for their stubborn refusal to conform to certain political and religious norms. It seems the Lord has always carefully designed his commandments to keep his people separate and strange while still expecting them to remain otherwise integrated in whatever society they are in. He seems to want us to have a constant reminder that in whatever society we find ourselves, our first loyalties go to His society, even the family of Heavenly Father, Mother, Brother, and siblings that we have chosen through covenants. It can pull us upwards to a higher perspective that reveals us as “strangers and pilgrims on the earth.” 3 The laws of peculiarity are divinely-anchored lifelines against moral danger—not just that of getting drunk or getting hooked on a substance, but the danger of forgetting where our better natures have once chosen to belong. A vivid example of this is when the Israelites were living amongst the Egyptians as their slaves. They too suffered from the plagues brought on by the stubbornness of Pharaoh, but before the final plague they were given a commandment to do something that would distinguish themselves not only from the Egyptians but even the less faithful Israelites. They were told to mark their doorposts with the blood of a slaughtered spring lamb. Very peculiar. Weird even. But those households which made themselves separate from their neighbors through obedience to this commandment were saved from terrible loss. Of course, the wisdom doesn’t stop there. A bonus feature of the Word of Wisdom is that its peculiarity gets people to ask questions to its adherents. Those questions lead to opportunities for Mormons to discuss their faith and invite others to come and see why they think it’s so great. 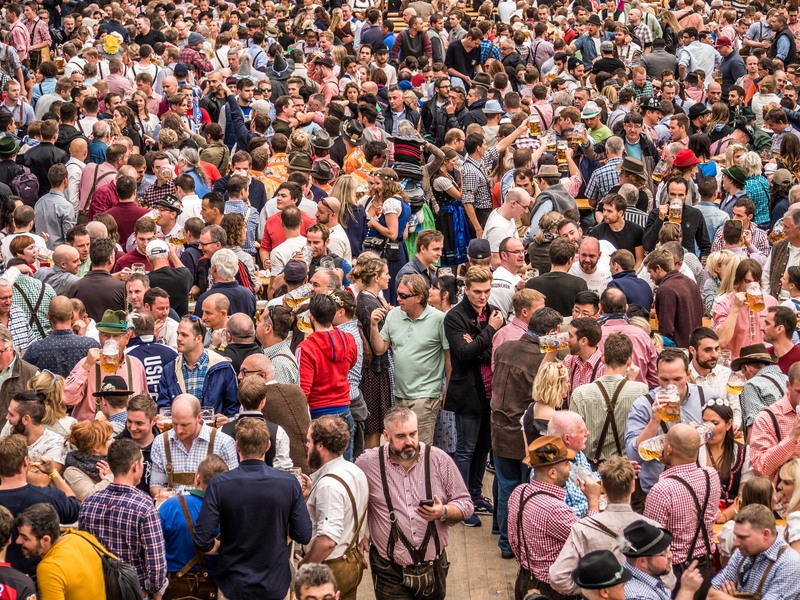 In my experience, the question that has most often revealed my Mormon faith and led to further discussion is, “why don’t you drink?” I am sure I am not alone in this. I am all over those pretzels, though. 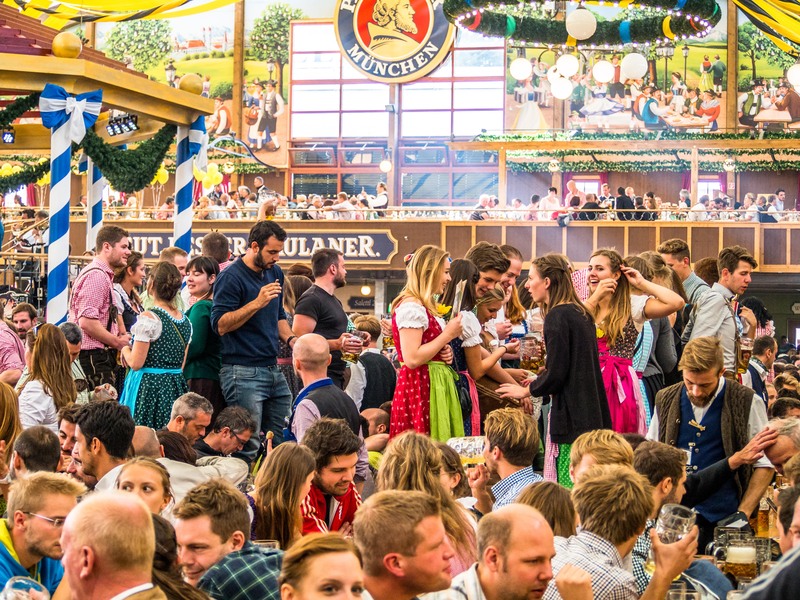 And so I am happy to forego the revelry of Oktoberfest and in exchange distinguish myself as Mormon, part of a peculiar people, but not without good reason for the hope and whatever wisdom might be in me. 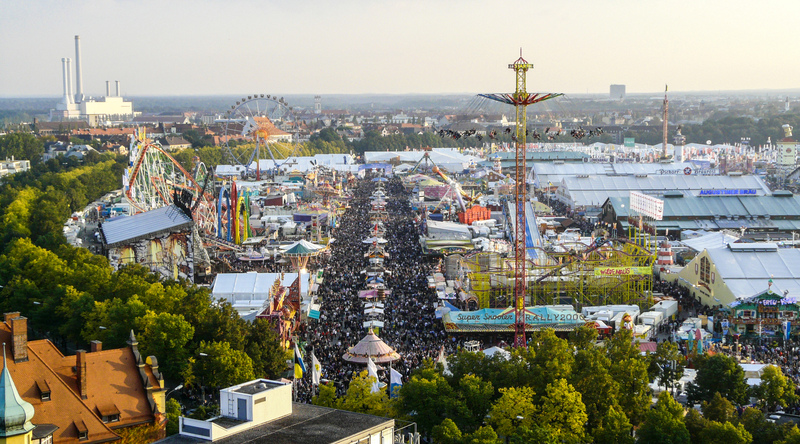 Fun Fact: The LDS church building is just one street away from the Wiesn. 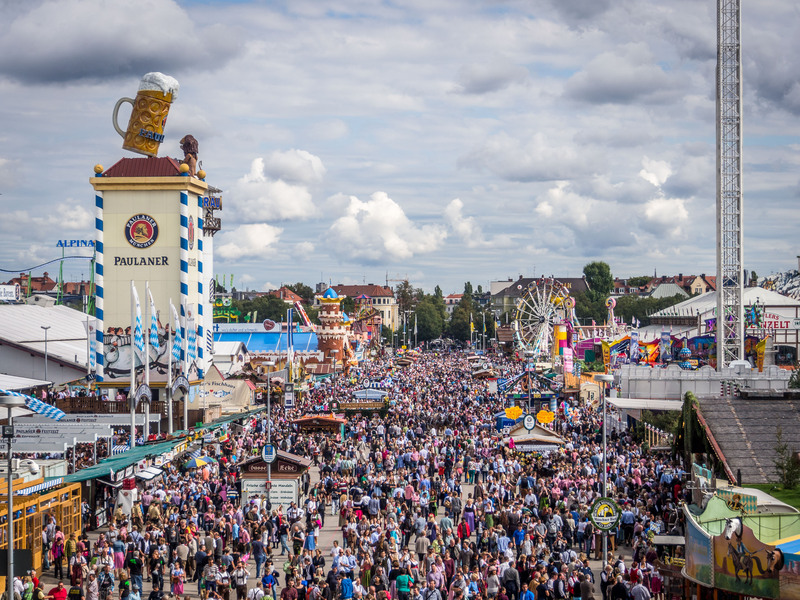 Check out more of my photos of Oktoberfest, Munich, and a bunch of other places here. Shkreli: Product of Capitalism or Red Tape? Hi Nathan, I run http://www.wirsindmormonen.org. We would like translate your article into German and post it on our Website, with credit to you and your website. Please e-mail me your thoughts on this. The Word of Wisdom leaves room for personal interpretation and revelation. 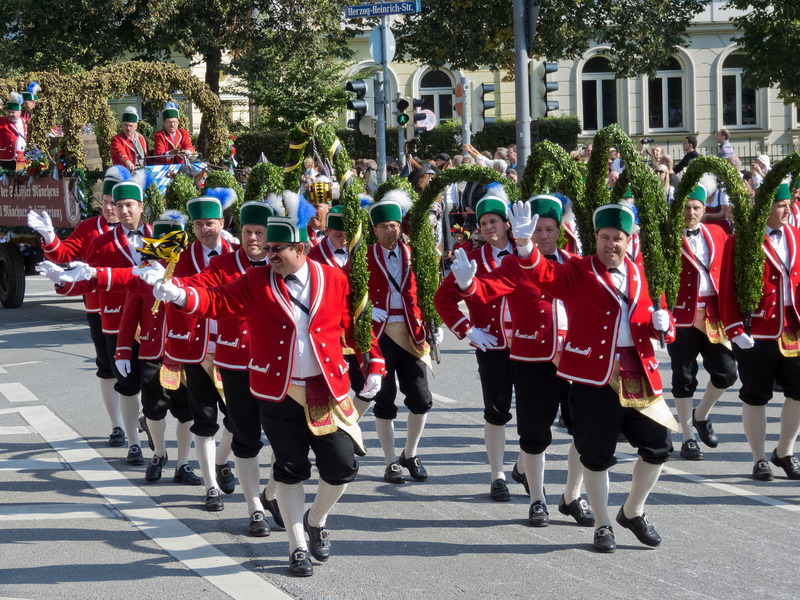 Having grown up as a member of the Church in Austria I know perfectly well what you are talking about. Yet for everyone I knew growing up in the Mormon community ‘Cola Cola/Pepsi’ was on the list of beverages one should not drink according to the WoW. It makes more and more sense as I ponder the subject and read information available to us today. “Let’s not forget that cocaine was allowed in Coke years ago, a substance added ONLY for its addictive qualities. Now of course, it’s the caffeine and sugar doing the trick” (Jason Vale, ‘Juice yourself Slim). Doesn’t also the name suggests that: COCA Cola – from the COCA leaves? I’ve met people addicted to Cola. They couldn’t go without one for two hours. Adding addictive substances to drinks or food ensures profit of the companies producing them. They only care about their bank account. My interpretation of ‘hot drinks’ include such with an addictive nature, and those which stimulate and help you stay awake and make your body forget that it is tired and actually needs rest. So in my view and understanding of the WoW Coke, Pepsi, Dr. Pepper, Mountain Dew etc. belong to the list of ‘hot drinks’ like alcohol, coffee, tea. I perfectly understand the confusion of people you refer to in your article. ‘Hot’ doesn’t necessarily refer to the temperature of the drink. I don’t see the reason for the Word of Wisdom to distinguish us as a peculiar people, but mainly to personally protect us spiritually and physically to keep our bodies healthy and free from addictive and harmful substances, which names we can not read or spell and which our bodies don’t recognize either. The revelation was originally given in 1833 “not by commandment or constraint” and didn’t become a standard practice until well into the 20th Century. Get thee behind me, Mrs. Potts! See Hebrews 11:13 and the very apt 1 Peter 2:11.